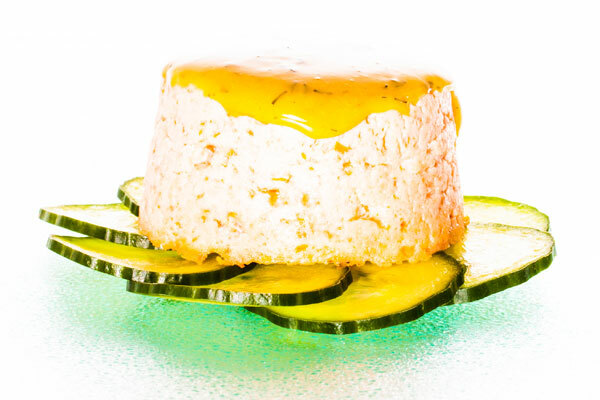 This cold fish terrine is delicious made with salmon, but you can use any fish you like. The mustard and dill sauce pairs wonderfully with the salmon. You can also make a crème fraiche based sauce with some dill and fish roe in it. Mix the salmon and salt in a food processor. Put the mixture in a cold pot. Smear the salmon on the bottom and the sides of the pot to create maximum surface area for the smoke to adhere to. Transfer the smoked salmon mix to small hemisphere molds. 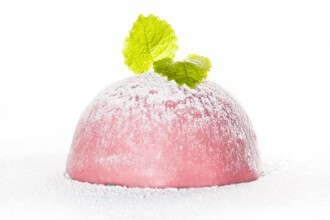 Bake the mousse for 10 minutes or until the salmon has an inner temperature of 56° C (132.8 degrees Fahrenheit). Let the terrine cool in a refrigerator until completely cold. Slice the cucumber in 3 mm slices on a mandoline. 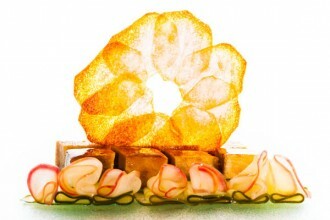 Arrange the cucumber slices in a circle on the plate. 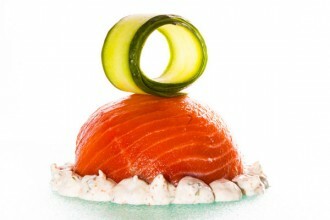 Unmold the salmon terrine over some absorbent paper and place it on the cucumber slices. Pour the mustard and dill dip over the terrine.